Instantly my mind was ablaze with ideas of what to make with this incredible fuzz. I thought I could make a onesie or a catsuit with a hood and ears to laze about the house like a looney in. But then I thought better of it as I would look completely insane! Then my mind spiraled on to the idea that I could make a furry monster hoodie out of it, one with a hood and ears (obviously) and lined with yellow polar fleece to make it extra snuggly! I was telling these ideas to Greg and he chirped in all of a sudden and made a request; I am to make him a multi-coloured fur gilet! Greg's really interested in the culture of Manchester, where he comes from, and it's music scene so he loves old 90s acid house and the whole Madchester indie scene, hence his surprising fashion choice. I'll just mention that the rest of Greg's wardrobe is earthy colours and muted tones as they suit him, so this really came out of the blue for me. All the same, I will make it for him, as requested. For anyone who doesn't know the southern fashion lingo, a gilet is normally best described as a sleeveless padded jacket used to be called a bodywarmer (as pointed out to me by Greg). Because I've never made clothes for a man before, I decided to get some picture references before I plan out the jacket. 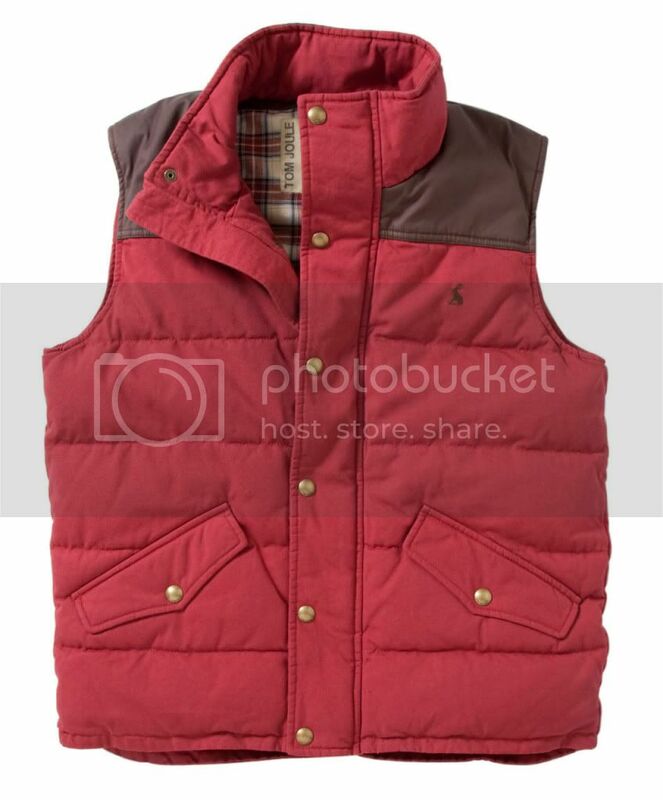 Most gilets are horizontally quilted and stuffed with goose down as they tend to be worn by outdoorsy types - I myself own a gilet and can be seen wearing it at the top of my side bar. Quilting fur fabric would prove very difficult as the long pile fur would get caught under stitching an look a bit daft, so I may have to take a different tact with this project. 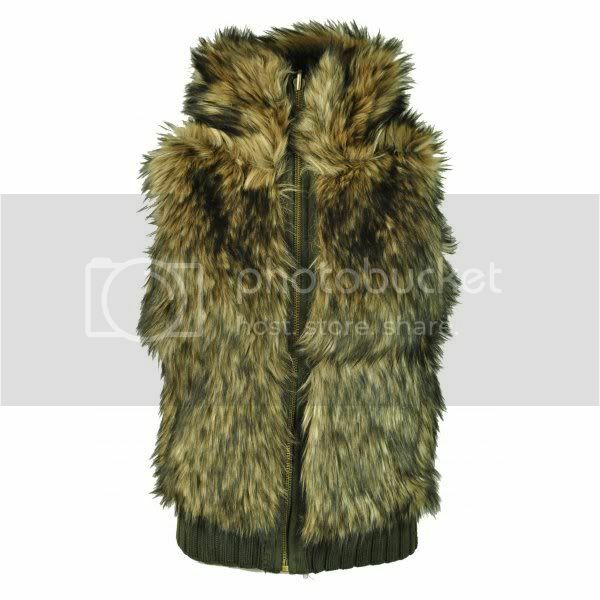 I think I'm probably gong to make it in a similar way to this Firetrap one above, with either a very wide exposed zip or fur hooks, and primarily made from a few simple pieces, tabbard style, so it won't be too complicated to sew. The option I then gave to Greg was what did he want me to line it with? I was planning on yellow polar fleece but I thought this might be a bit boring so went to my favourite website, Fabric Land, and found some great fluoro Batik cotton, which would look great as it's so patterned. The only thing is that then the gilet wouldn't be very substantial, or as warm as with the polar fleece, so I have decided to quilt the batik cotton with fairly heavy wadding before I line the fur with it. I'll put pockets on it as well as some elastic ribbing to make it fit well, but it should be fairly cheap, depending on what I can haggle the fur fabric at the market down to! It's all very exciting (as you may have guessed from my very enthusiastic typing!). A bit of bad news to end the post unfortunately. I have been examining the fabric I bought for Jenny and I to make our petticoats and it looks like the net won't do. Again, it's my fault for not buying a sample first, but it's just too stiff and the weave is too wide, so I will be buying some 'sugar puff' voile for it instead. As Fabric Land don't do returns, I am stuck with 15m of dress net, so am weighing my options. I could sell it on ebay, or keep it for a potential future project or I could take it with me to the market, and see if any of the fabric stall holders wants to do a part trade. It's a full 15m roll, uncut of white dress net so they could sell it off and it's worth over £12 all in all so maybe I can trade it off? Who knows? I may try on Saturday when I go in search of the sacred fur fabric, so wish me luck! Exams got in the way of my fabric hunt so I'll be sorting it out later this week and will let you know how it goes!